When having wine tours in and around San Francisco you may also want to include hot air ballooning with BATV or Balloons Above the Valley. 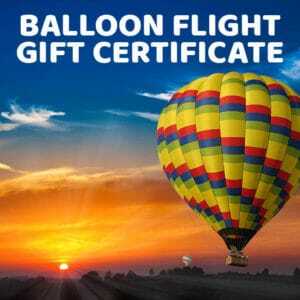 BATV has been in the business of providing hot air balloon rides for over four decades. Our longevity in the business is a sure indication that we provide nothing but the best hot air balloon rides over the Napa Valley during the sunrise hour. What makes our hot air balloon rides sure to please? First is the rare and unique experience that you’re going to enjoy while you’re flying thousands of feet from the ground. Unlike flying above the vineyards in other aircraft like as a helicopter or a glider, flying in a hot air balloon provides these advantages — open-air and it’s virtually noiseless. Plus, it also allows you to enjoy 360-degree views of the immaculately neat rows of the lush vineyards, rolling hills, deep valleys, the angular tile roofs of the homes, hotels and the estates that are situated amongst the vineyards, and the sun rising from the horizon. You might hover over or skim some lakes, trees and roofs as you make your way up the sky, or descend toward the ground. BATV always thinks about the enjoyment of the clients who wish to fly with us. We are more than just wonderful sunrise hot air balloon flights over the Napa Valley. Of course, we also want to make sure that our clients enjoy our time with us from beginning to end. You, as one of the guests, will wake up to a hot breakfast with freshly baked pastries and Starbucks brewed coffee. After the one-hour balloon flight, you and the other guests will be led to a delicious and seasonal brunch with a sparkling wine. If you also wish to visit the wineries, look no further because BATV also offers wine tours. 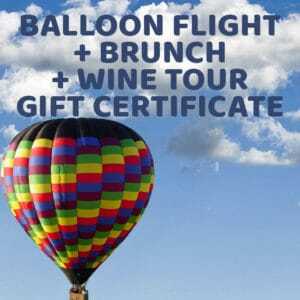 Depending on the type of BATV hot air balloon/wine tour packages you choose, you may either want to have a six-hour wine tour after taking the hot air balloon ride, or have more extensive wine tours not only in Napa Valley but also in Sonoma Valley. If you are living or vacationing in San Francisco and are wishing to visit the vineyards and the wineries, BATV will even pick you up from the city and transport you to the wonderful California wine country. Enjoy the delectable differences between the Napa and Sonoma wines, olive oil tasting and a picnic-style buffet lunch in an idyllic setting as you visit from one winery to the next. Last but not the least, BATV has the most excellent, competent, and people-oriented staff you’ll find. Almost all of the guests who have flown with us rave about the experience and the professional level that our pilots display. And they cannot be wrong! Our pilots are experienced and extensively trained not just to maneuver the hot air balloons, but also to become customer-oriented. They are not just pilots; they are also tour guides in a way! Our pilots will point to other sites of interest and tell interesting and wonderful stories while keeping you and the other guests safe. Even if you make the last-minute booking or reservation, our attentive staff will see to it that your reasonable requests will be met. The regulations imposed by the Federal Aviation Administration have maintained the straightforwardness of our hot air balloon rides and wine tours. With all these factors, you can be sure that hot air ballooning with Balloons Above the Valley (BATV) is sure to please! Are you interested in flying with us? We’ll look forward to your call.